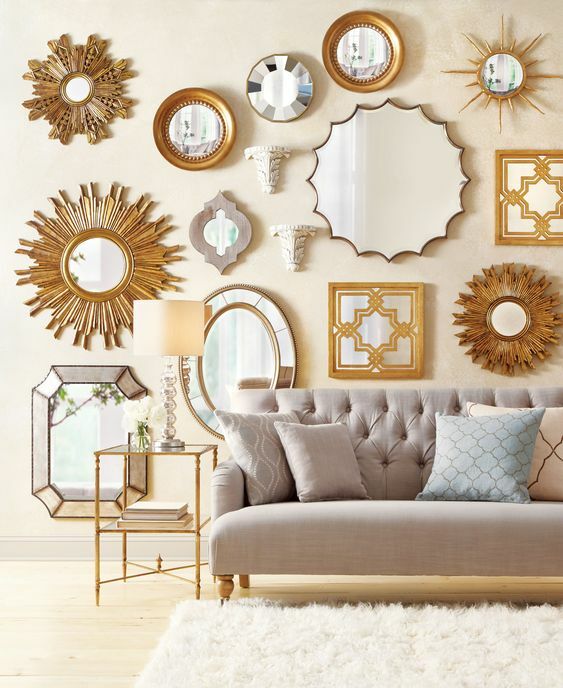 Forget pictures… Mirror gallery walls are one of the latest trends to take over Pinterest and we couldn’t be more on board with it! We love looking for new and creative ways to use VELCRO® Brand HANGables® Picture Hanging Strips and a mirror gallery wall is the perfect way to create a unique piece of home decor that’ll look effortlessly stylish without a huge amount of effort! 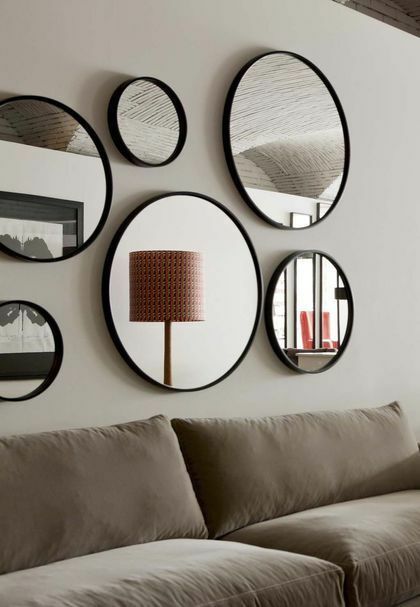 This rich, bold mirror gallery wall is the perfect way to spruce up a white wall. 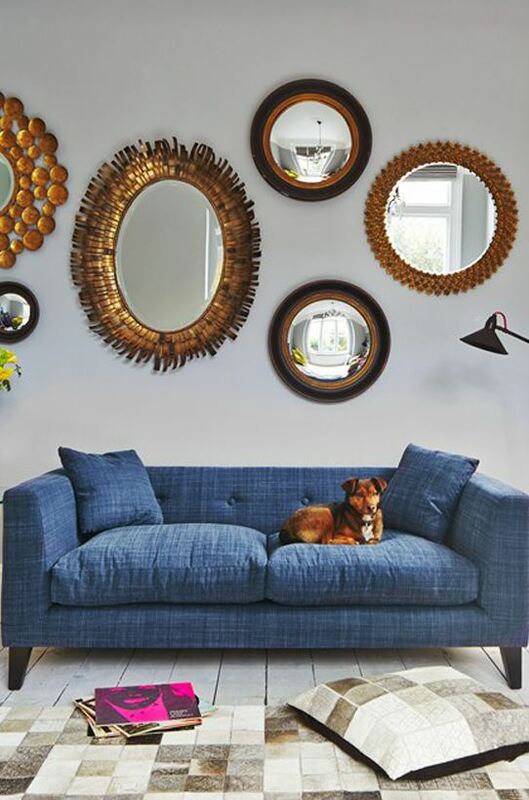 To ensure your gallery wall is stylish rather than over-the-top, make sure you strike a careful balance of plain and bolder frames. 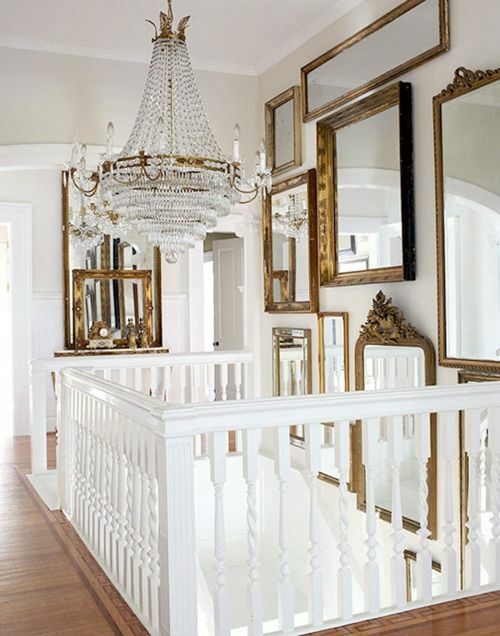 Staircase gallery walls are all the rage – so why not put a twist on the trend by creating a mirror gallery wall for your staircase? 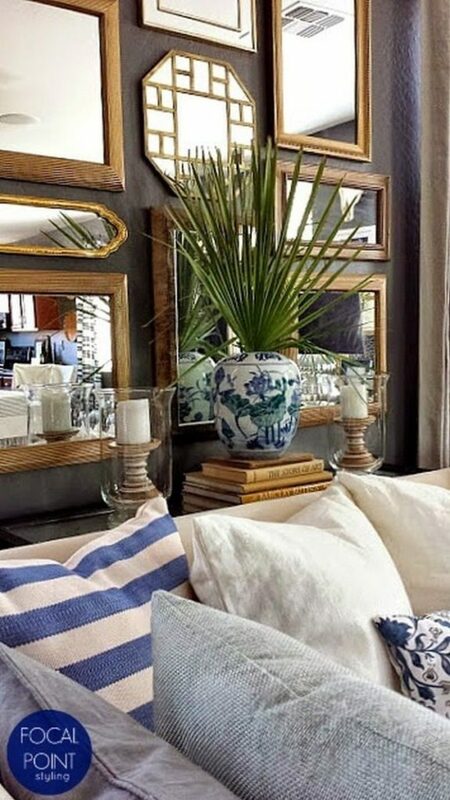 This idea will instantly make your home decor more elegant! We’d recommend using the large picture hanging strips that can hold up to 4 lbs per set to ensure your mirrors are securely stuck to the wall. 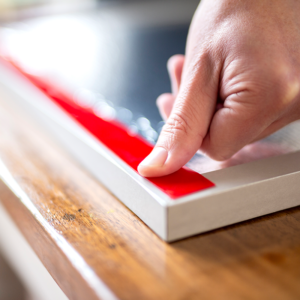 The beauty of them is, you won’t need to use one single nail – and when you’re ready to take your gallery wall down, they’ll peel off the wall without leaving any marks! For heavier mirrors, you’ll need an even stronger way to mount them on the wall so we’d recommend using FIX-PRO® Extreme Mounting Tape.